No, friends, it is not the work of the Shadow Thief, but rather the artwork of a fella named Steve Garcia. Everyone's favorite Firestorm Fan, Shag, happened across some art from this guy and decided to share. Of course, the way he decided to share was, "Hey! Everybody! Let's do a crossover with this awesome art!" With each silhouette, Garcia drops in a relevant gradient and a buzzword. 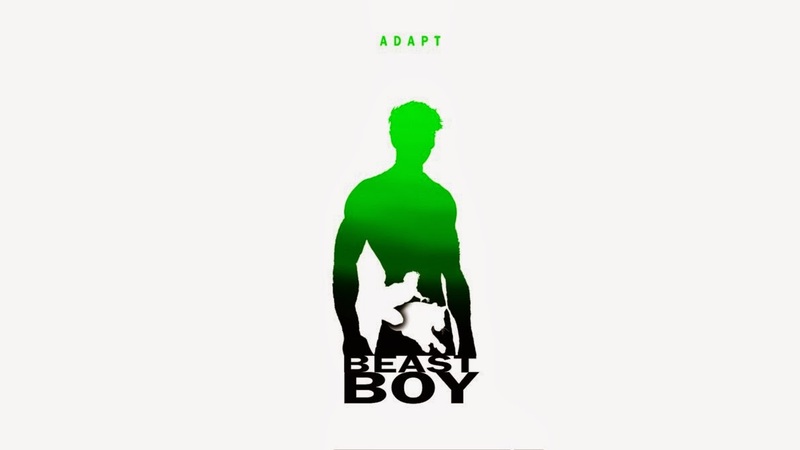 In this case, Garfield Logan is associated to the word "Adapt." Appropriate, since Gar did adapt to the Red in the New 52. Pre-New 52 gives us another member of the Doom Patrol. Sort of. Clearly Garcia had fun with this one. And who wouldn't? "Nutcase." What more needs to be said? 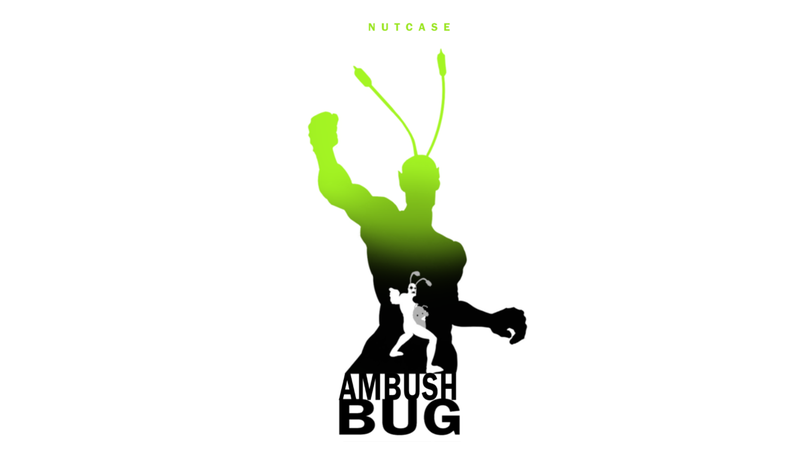 While Ambush Bug is making appearances in the back matter of the current lineup of DC Comics as part of the Channel 52 filler, it's his appearances with and at odds with the Doom Patrol that earn him a spot here. Well, that and his team-up with Cheeks, the Toy Wonder. Which leads us to the not-quite-so-Doom Patrollers. Following Crisis on Infinite Earths, Paul Kupperberg made a valiant effort to dovetail his iteration of the Doom Patrol with Power Girl. She teamed up with the DP for an issue, part of which turned sideways and certainly deserves some time here soon. I'm not so sure "personality" is the best fit for Karen Starr, but I suppose it works. After the Kupperberg-Morrison-Pollack Doom Patrol cooled off a bit, DC tried to bring the DP back from Vertigo into the DC Universe proper. Leading the charge on that was writer John Arcudi, who introduced a full flight of new kids to the Doom Patrol. Through the course of the series, the Doom Patrol brand and affiliated characters bounced around a bit, including a lineup that boasted a team of Beast Boy, Kimiyo Hoshi Doctor Light, Elongated Man and Metamorpho. Very perceptive! This one is quite fun and actually makes me a bit nostalgic for old Ralph Dibny! Maybe he'll show up in the New 52 soon, and while I'm being hopeful, maybe DC will actually do right by the character this time out. 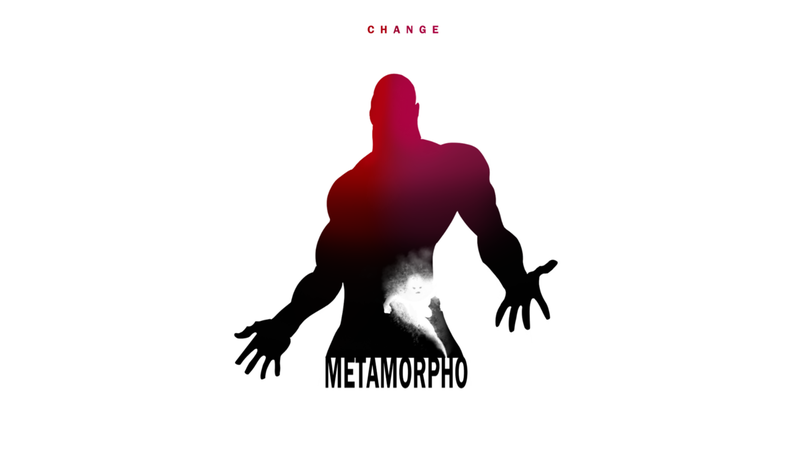 "Change" hits the nail on the head for Rex Mason's heroic identity. In my brain, there is no better spot for Rex than on the Doom Patrol. His appearances in the Arcudi series, in John Byrne's series and even in the Brave and the Bold written by Mark Waid with art by George Pérez illustrate that Rex simply fits in with the team. Who knows, since we haven't seen Rex or a newer incarnation of the DP, maybe the two will converge in the New 52 soon. The final piece I'm going to include here is Deadman. As I mentioned a little bit ago, Deadman and Doom Patrol both spring from the mind of Arnold Drake, so where better to celebrate Boston Brand? 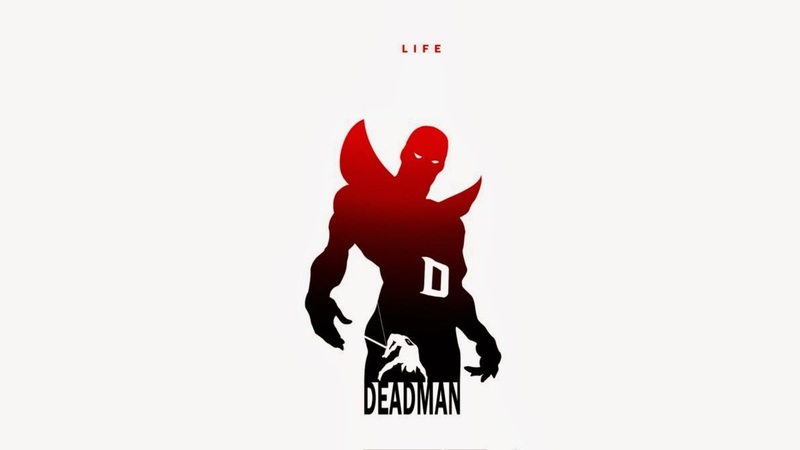 "Life" fits the bill as Deadman truly began living after he was already dead. Garcia also made a Brightest Day influenced Deadman image, but this traditional take on Deadman is a little more slick in my opinion. Booster Gold, Martian Manhunter, Wonder Woman, Hawkgirl, Wonder Girl, Zatanna, Black Lantern, Martian Manhunter, The Atom and Captain Marvel. Check them all out. Come back and let me know what you think. Or maybe sound off on the new blogs after clicking through. Enjoy! 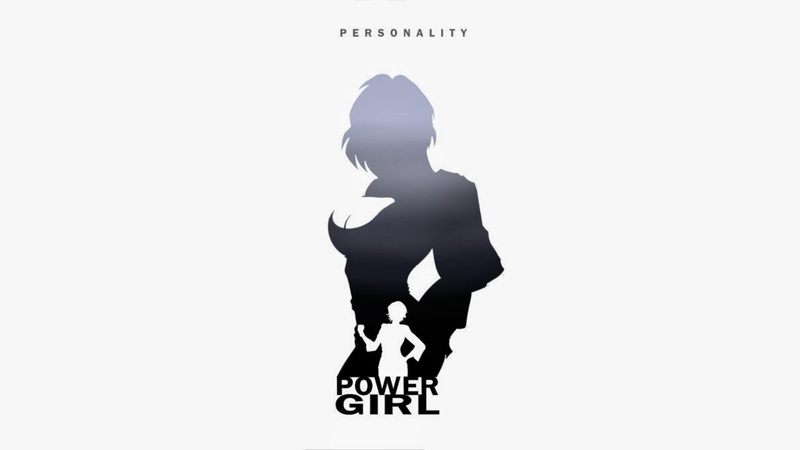 Of course Power Girl's theme is "personality". Yeah, it's her great big PERSONALITY that everyone loves about her.